The aluminium rim cement for tubulars is completely different from the carbon aluminium cement for tubulars. This is particularly true for the connection between the tyre and the rim. The crucial factor here is the different surface structure and primarily the different heat conductivities of the materials. It is thus important to use different types of cement for the different attributes of the materials. 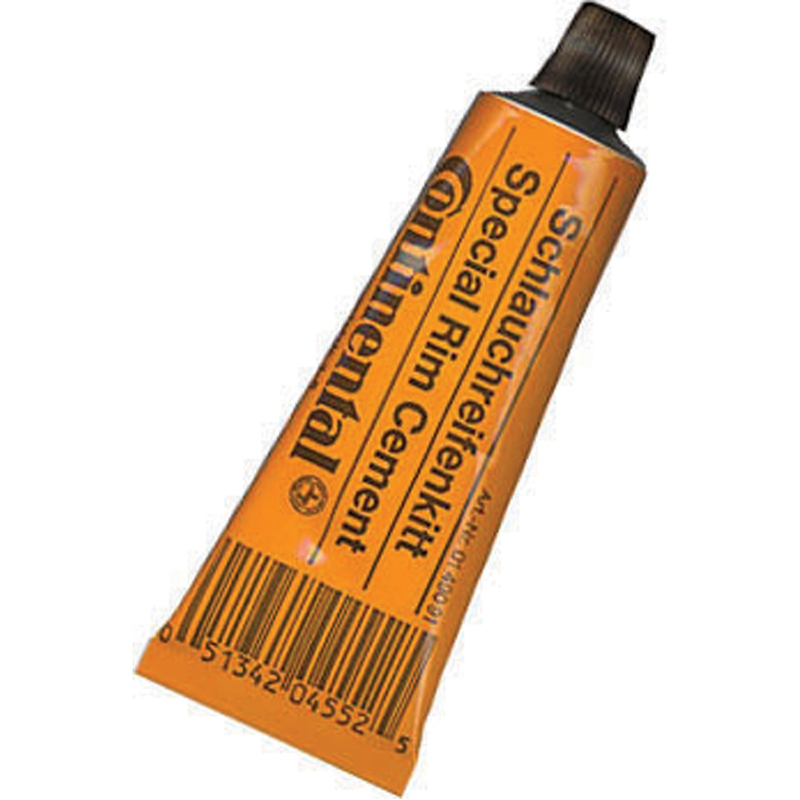 Quality cement in an easy to use tube, I prefer to use a tube when glueing the rim as it saves the sometimes stringy mess you get using the larger can. Use the instruction and you won't go far wrong.. It's a lot easier to apply glue from the tube rather than the tub an inexpensive option.